The world of chocolate is truly a wondrous place. And we love discovering new things within it. 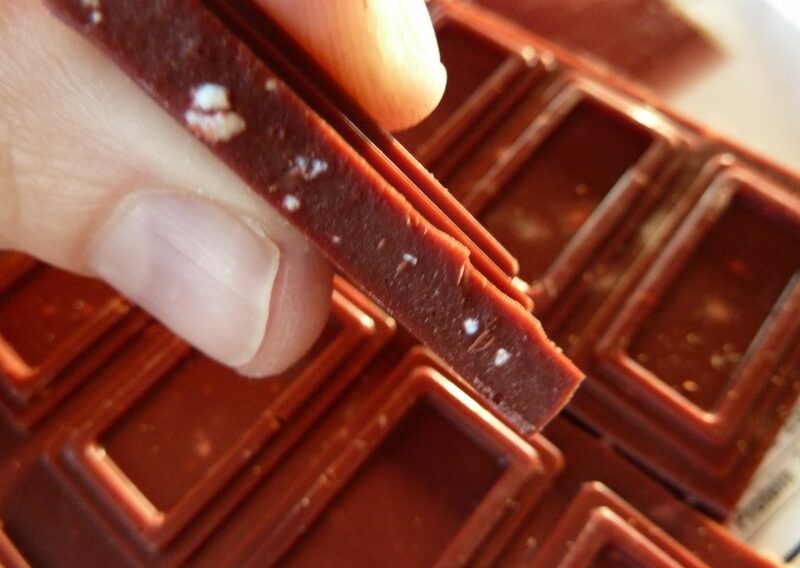 Most people who enjoy chocolate would say they have a definite sweet-tooth–though that isn’t always strictly the case! Chocolate can run the gamut from sweet to savory, and everything in-between. In terms of the sweet side of things, we definitely love our chocolate desserts–cakes, cupcakes, brownies, cookies–all of these are things that we regularly sample on tours. So when we can find a chocolate bar that is inspired by a dessert, and sort of flips the script a bit, we couldn’t help but immediately fall in love with the Red Velvet Chocolate Bar by Alcove. 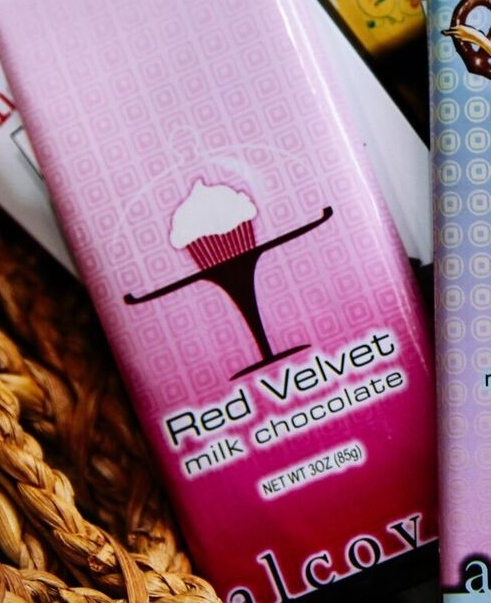 This bar truly gets the taste of red velvet cake inside a chocolate bar–complete with the cream cheese frosting. See those little white bits in there? That’s the cream cheese essence! So, for those times you just can’t decide between a chocolate bar, and a slice of cake, Alcove has you covered!